Since successfully completing several joint infrastructure construction projects in Turkey -- including the Eurasian Tunnel, an underground tunnel bridging Europe and Asia beneath the Bosporus Strait, and Yavuz Sultan Selim Bridge, one that carries rail and motor vehicles above the strait -- Turkish and Korean companies have gone beyond Turkey to win bids in third markets. One of them is a consortium consisting of Korea Highway Corp., SK Engineering and Construction and Turkish companies Alarko and Makyol, to build a $737 million, 66-kilometer highway in Almaty, Kazakhstan. Part of Kazakhstan’s section in the China-led “One Belt, One Road” global infrastructure initiative, the project -- with an implementation agreement signed on Feb. 7 -- is a prime example of Turkey-Korea economic partnership, according to newly appointed Turkish Ambassador to Korea Ersin Ercin. In Turkey, the two sides also won a $3 billion bid last year to build the 1915 Canakkale Bridge through a consortium, which will be the world’s longest suspension bridge when it is completed in 2023, coinciding with Turkey’s 100th republican anniversary. These examples represent the “ambition, expertise, synergy and potential” of the two countries at the far ends of Eurasia, the envoy said in an interview at the recently relocated embassy in Jung-gu, Seoul, last week. Despite being separated by 8,000 kilometers, Turkey and Korea are “amazingly close,” the career diplomat asserted, listing several distinct features in the bilateral relations that cannot be found elsewhere. The Turkish and Korean languages both belong to the Ural-Altaic family; both peoples place strong emphasis on family values and traditions as well as respect for elders; and both nations have upheld democracy at home and abroad, playing important roles in the United Nations, G-20 and MIKTA, an informal alliance of middle powers Mexico, Indonesia, Korea, Turkey and Australia. “The international order is changing fast, from a unipolar and bipolar one to a multipolar order. The complex nature of global challenges requires the inclusion of emerging and middle powers more than ever,” he contended. Seoul is also a cooperation partner of the Organization for Security and Cooperation in Europe and North Atlantic Treaty Organization, in which Turkey is a member state. Despite such a strong basis of collaboration and exchange, the two countries’ economic cooperation -- with their annual bilateral trade volume at $7.5 billion and Korean investments in Turkey reaching $2.2 billion in the first half of last year -- is far below the potential, he argued. 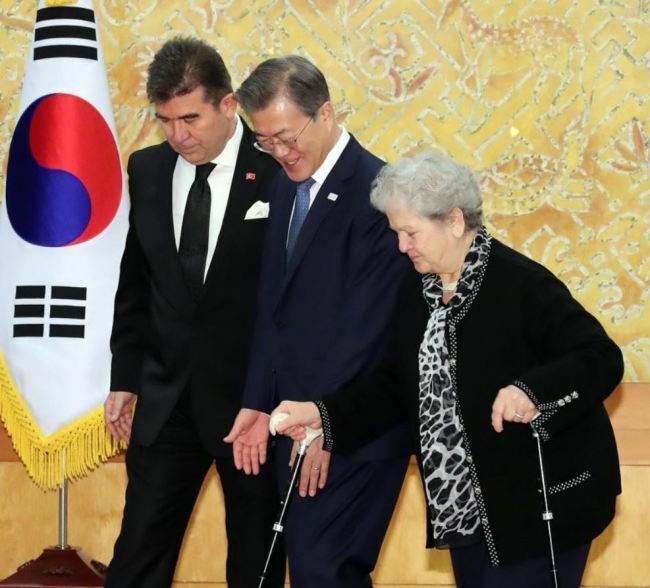 Ankara and Seoul have a bilateral free trade agreement that entered into force in 2013, and some 300 Korean companies are operating in the Turkish market, whose gross domestic product is $906 billion, the world’s 17th largest. Particularly, projects in Central Asia -- a booming region with close religious, cultural and ethnic ties to Turkey -- as well as Africa, where Turkey has diplomatic presence in most countries, have growing potentialities, he said. In the Middle East, especially Syria and Iraq, he highlighted, the two countries can join hands to rebuild destroyed cities and infrastructures, once conflicts are over and international investments come in. Turkish President Recep Tayyip Erdogan’s scheduled visit to Korea in May will be an added impetus to the bilateral relations, particularly in trade and investment, Ercin forecast. He listed the major pillars of economic cooperation in construction and infrastructure, automotive, information technology, defense, pharmaceuticals, petrochemicals, energy, cosmetics and culture. “The ‘Hallyu Korean Wave’ is drawing a lot of attention and buzz in Turkey, while our cinema is popular and acclaimed throughout the world,” he said, adding joint film productions would be profitable and powerful in igniting the two publics’ mutual interest. In April 2016, South Korea’s cinema operator CJ CGV bought a nearly 40 percent stake in Istanbul-based Mars Entertainment Group, Turkey’s largest cinema chain, for $800 million. 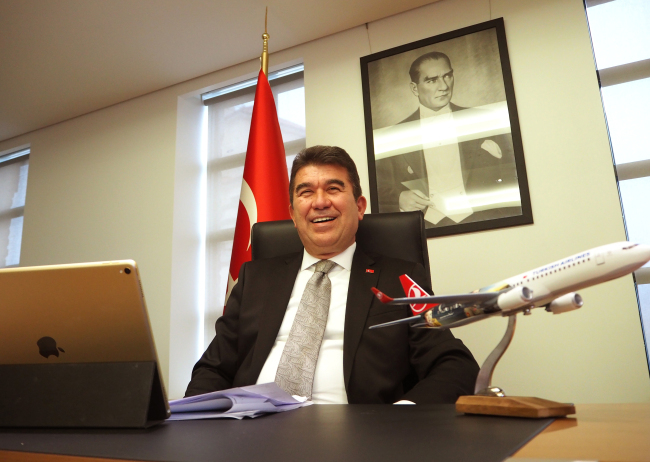 Noting that 2019 will be the year for promoting Turkey’s tourism in Korea, the envoy said he aims to increase the number of Turkish Airline flights between the two countries. Ercin entered the foreign service in 1982 and has served in many conflict zones like Damascus and Khartoum, as well as international organizations UN and OSCE. 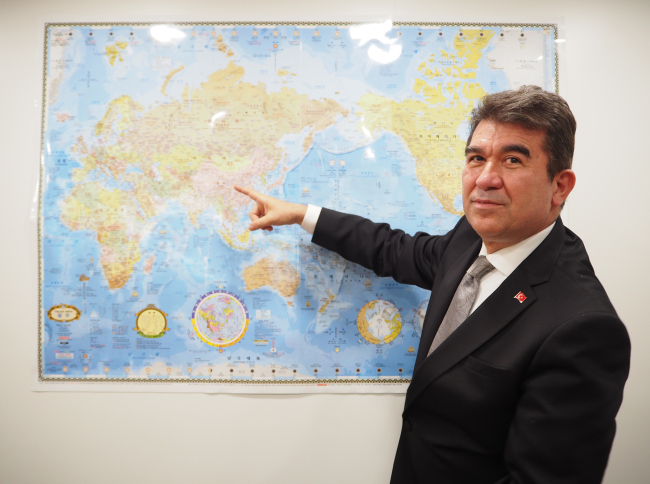 He was the Turkish ambassador to Brazil from 2009-2013, and before coming to Seoul worked as the director general of the Asia-Pacific department. On the question of North Korea’s nuclear and missile development, the ambassador called it a “global threat” with worldwide repercussions. While implementing all UN Security Council sanctions, Turkey supports the ongoing peace endeavors between the two Koreas as well as Washington and Pyongyang for lasting peace and security in the Korean Peninsula, the ambassador said. “Our state structure will more efficient and effective,” he said, referring to Turkey’s new presidential government system to be instituted next year, following a constitutional referendum last year. The move will abolish the office of prime minister and consolidate the president’s authorities.